SELMER Truevoice 50 Watt Tube Head SUPER and Rare !!! 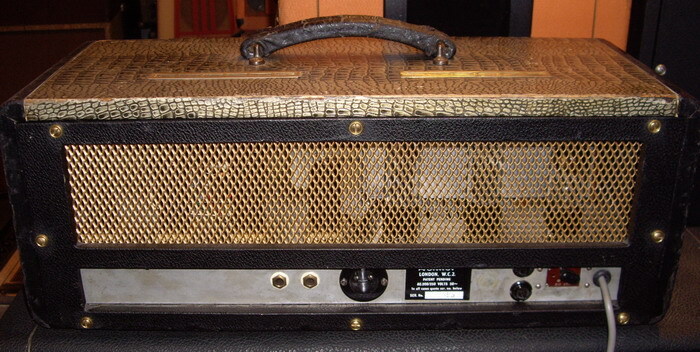 SELMER Truvoice 50 Watt Tube Head SUPER and Rare !!! "Fresh Cream" and other Cream classics. 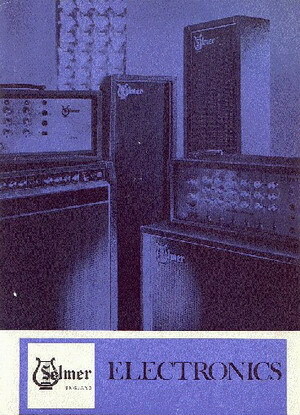 These amps were originally built between 1963 and 1965, for use both as a guitar and as a bass amp. 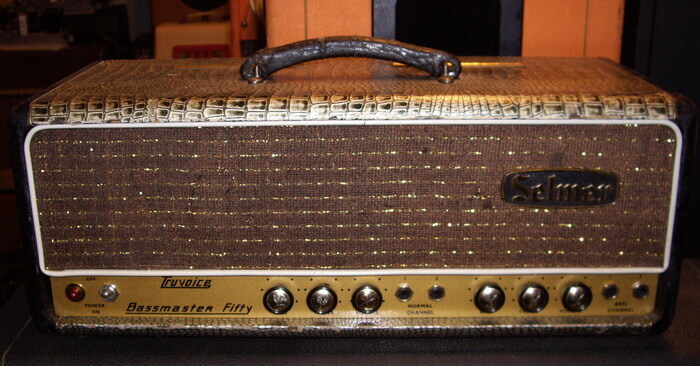 It's the early version of the Treble and Bass 50, which was more or less the standard Selmer guitar amp head for many years from the early sixties till the late seventies. 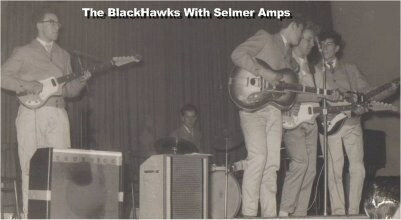 By the end of 1966, Barrett used a 50-watt Selmer Truvoice Treble n’ Bass 50 Mk II with matching ‘All-Purpose 50’ Speaker Cabinet with 2X12 speakers. 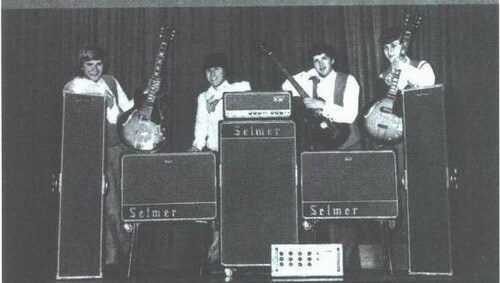 Onstage, the Pink Floyd used Selmer Goliath cabinets and Stereomaster guitar amplifier heads, with four Selmer TV/100 PA amplifier heads, for a tremendous roar. 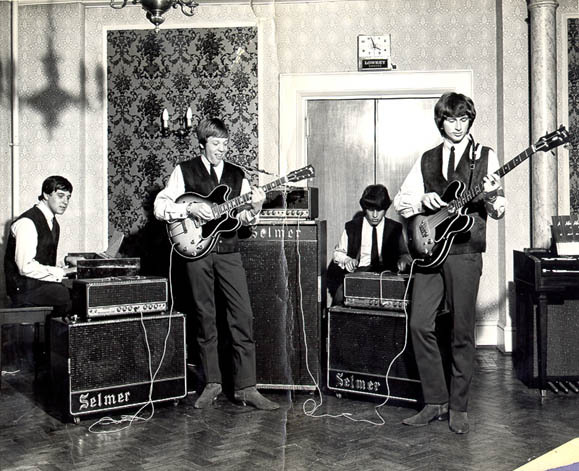 A perfect gig amp with clean tone, Syd’s Selmer combo excelled at two things – treble and bass. Channels had clean tone to about four on the volume dial. Turning volume up, bass channel had vigorous crunch, with blues and jazz overtones. A bit higher and Syd’s dark expansive proto-metal sound rumbled through. Even with treble control down, treble channel had knife’s edge sharpness. As Syd turned treble higher and pushed the amplifier hard, he got into extreme noise and feedback. 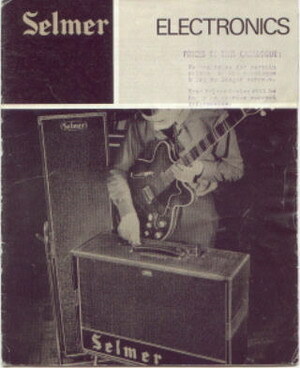 His Selmer amp had an effects loop wired to pre-amp valve, an echo send return on the back Syd utilised with Binson and a Selmer Buzz-Tone fuzz pedal. Syd put Buzz-Tone on maximum setting then rolled guitar volume knob down for overdriven parts and back for distortion. Like Gilmour or Hendrix, Syd set fuzz and volume at maximum level and used guitar volume to control gain and fuzz. Fuzz pedal boosted and clipped sine wave input from guitar into square waveform. Buzz-Tone’s germanium transistors were notorious for wonky tone in hot clubs, an interstellar overdose of flat sine waves. 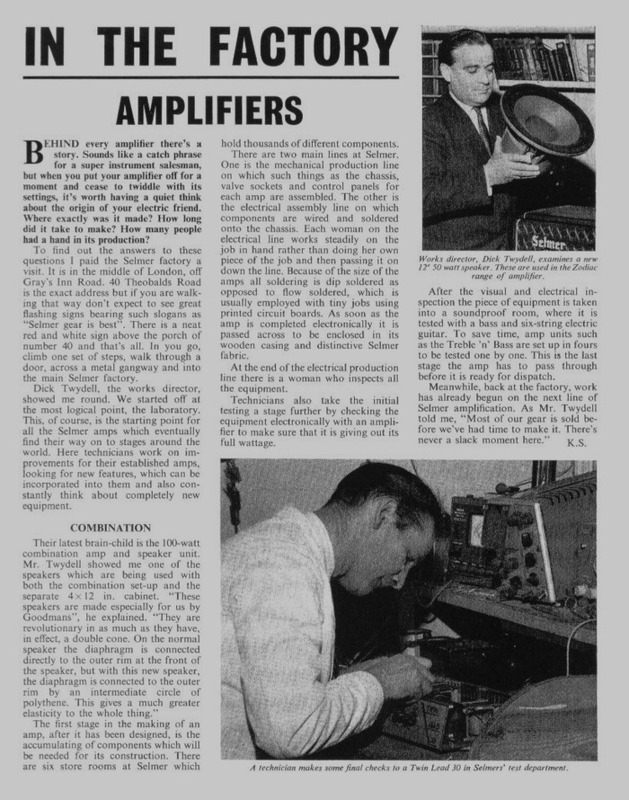 As Buzz-Tone clipped, intermodulation caused signal heavy with extra harmonics, often distorted. 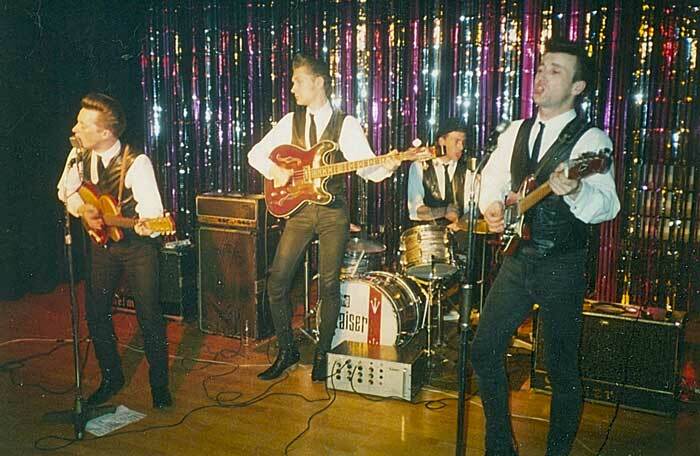 Syd’s Esquire proved versatile for every gig. 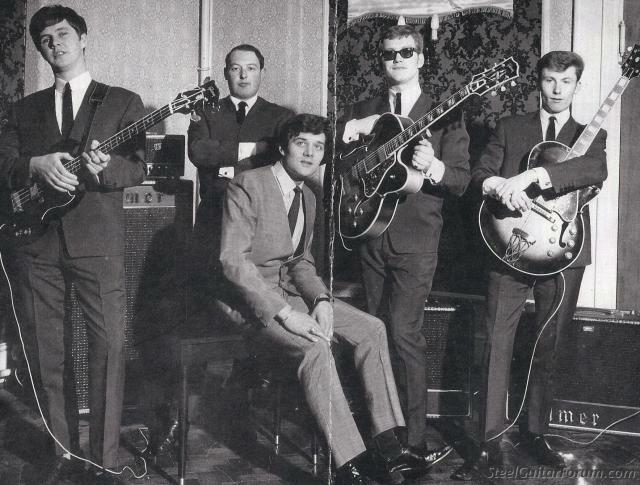 With all 21 frets clear of the cutaway, Syd howled right up the neck with superb sustain. The single coil bridge pickup was heavy, with strong mid-range, and much power at high volume. 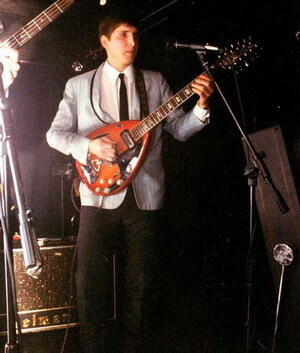 Playing live, Syd flicked the three-tone selector switch, with resistors and capacitors altering frequency response. In position one, or bridge-setting, tone control was disconnected and wired direct to output jack. Here, Syd got crisp treble lead tones, setting Selmer at four or five gain, for leads more scalding than Telecaster. In position two, standard volume and tone control arrangement allowed Syd to darken and brighten passages. 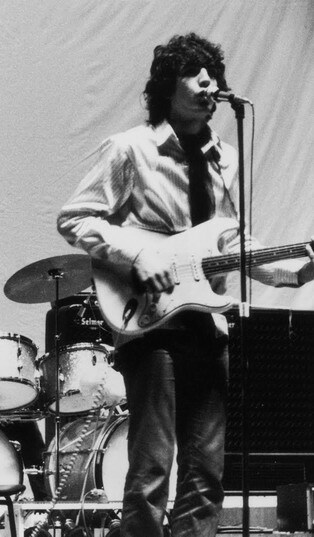 Turning tone knob to the centre gave Syd good Telecaster-like mid-range to vamp while Rick soloed. Syd could mellow tone a bit by strumming past where neck pickup would be, or diving to the bridge with Zippo flashing across the bottom E string for his signature sustain violin-like tone. In position three, tone control was again disengaged. 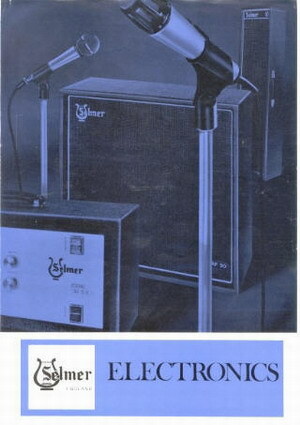 A unique Fender tone capacitor rolled off treble and some bass, producing muted dark tone the rhythm player in Syd thrived on. Here he could drop into Waters’ bass range and thicken rhythm. Esquire enthusiasts rave about so-called ‘cocked wah’ in the third position, where signal highs and lows swooped and dipped for pronounced hard-hitting tone. Barrett relied on barré chords to reduce dissonance, damping with his thumb over E string. Applying effects to amplified signal after distortion by preamp, echo and fuzz sounded better. Syd tweaked Binson volume input for overdrive and ran the loop in parallel with dry amp signal, boosting Binson’s maelstrom undertow as signal waned. Syd would raise volume on fading echoes, capturing decay, decentring rhythm. Using different pedals in effects chain, plugging ends into the amplifier, Syd got repetitive feedback signal he modulated with effects; filtering with Binson, adding gain with Buzz-Tone; modulating wave forms with swell. By the Games For May concert, Syd was experimenting with a Fender Stratocaster and Vox Tone-Bender pedal, also using a foot switch to tap in and out of Binson echoes. 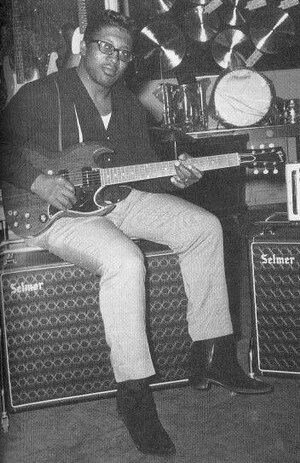 By the end of the summer, Syd was further using a Selmer wah pedal, one of the first British guitarists to do so. 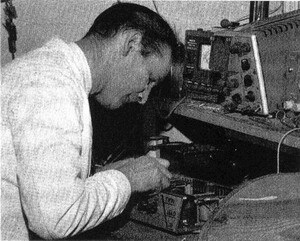 John Weir working on the Twin Lead 30 in 1966. 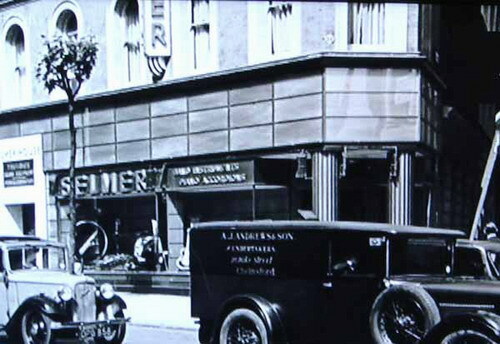 Selmers, 114-116 Charing Cross Road, London in the 1930's.